Discover how these common complaints management practices can critically impair your company’s performance. 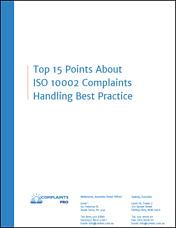 Learn how Complaints Pro standardized Complaints, Quality, Risk and Compliance for this 3000 staff not for profit organization. 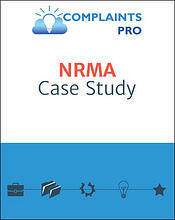 Discover how Complaints Pro was able to solve the problems of NRMA by providing them with an effective and modernized Complaints Handling System. 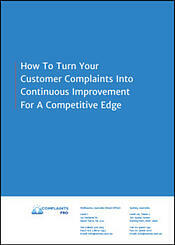 Every complaint is an opportunity to delight your customers and improve your company. 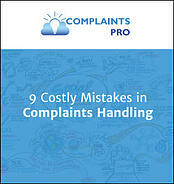 Find out how to set up a quality-focused complaints handling process. 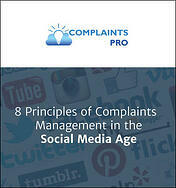 Discover how effective social media management practices can positively affect your complaint handling. Happier customers and continuous improvement are only one click away.